The second beta installation was for a young family in Lupton, AZ. 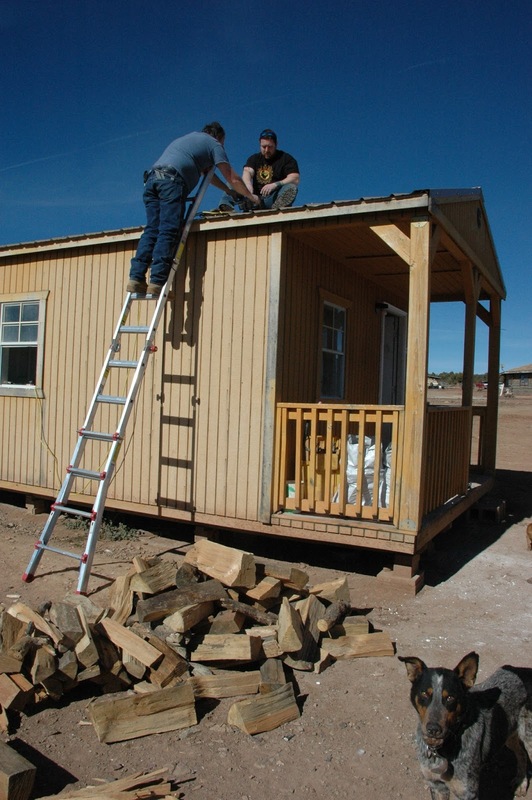 Just starting out with their own little home on familial land, Amber & Leonard, were in need of some economical heat. They were incurring huge electric bills each month from using space heaters. The addition of the stove will off-set these high electric bills while keeping the family toasty warm. Leonard and his family prepared for their new stove by building a hearth. They laid down flooring, insulated and put sheet-rock on the walls, finished the ceiling, and tiled the walls and floor. The beautiful tile job needed a bit of expanding to accommodate for the front loading door, so our crew set down a freestanding hearth pad on top of the existing tile. 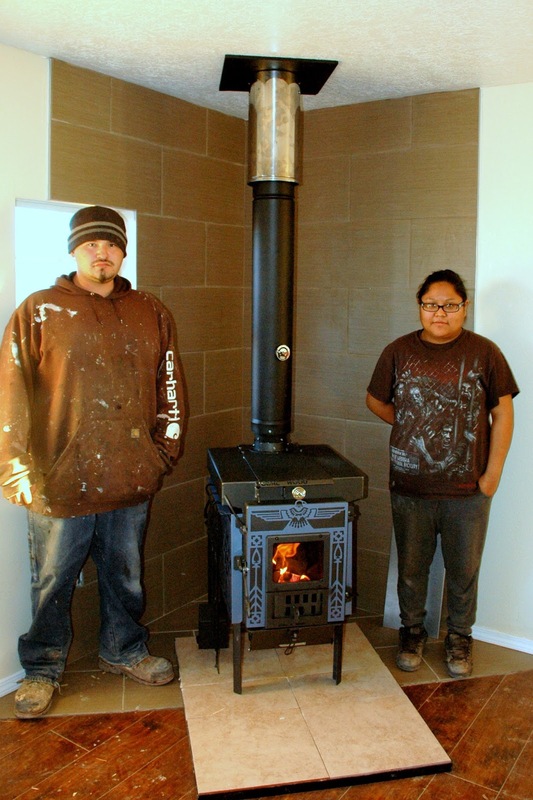 Amber and Leonard choose the stove that was painted a metallic blue to grace their home. It was the perfect choice. Once the stove was in place and a safe distance from the wall, Glenn and Jack got started on the chimney installation. While they were busy installing the chimney, Lorin tiled the hearth, discussed how to operate the stove with the new owners, and played fetch with the Blue Heeler. 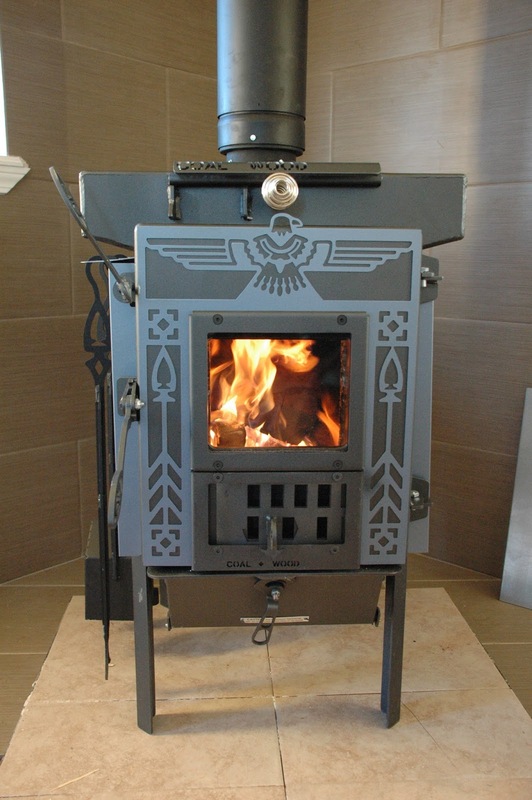 With the installation complete and the stove was fired up, Amber had fun seeing the change from smoke to no smoke coming out the chimney once the combustor was engaged during the wood fire. By the time the crew left, the Navajo stove had warmed Amber and Leonard's home nicely and the kids were enjoying the heat from the stove!